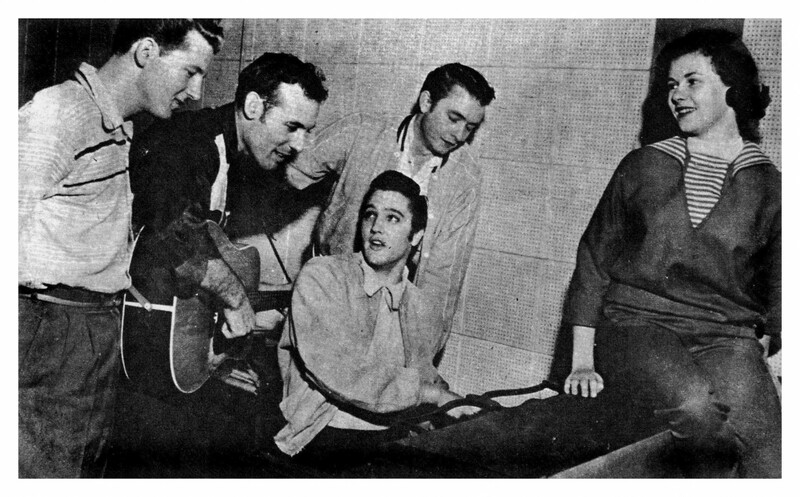 The legendary photo of Elvis, Carl Perkins, Jerry Lee Lewis and Johnny Cash is almost as iconic as the jam session that took place at Sun in late 1956! In this article you will find the most complete collection of photos that were taken on that historic day, in their best possible quality. 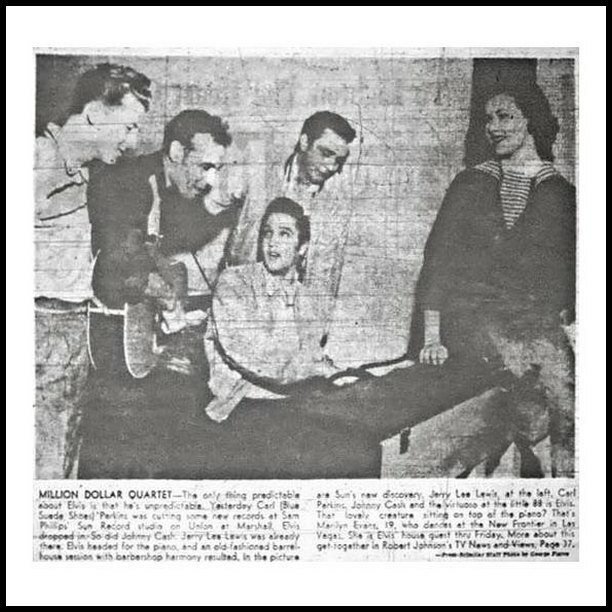 We’ll start this topic off with the article that appeared in next day’s newspaper (on December 5, 1956) which actually gave the session it’s now famous name after reporter Robert Johnson introduced the words “Million Dollar Quartet” for the very first time. December 5, 1956 aricle(s) by Robert Johnson. 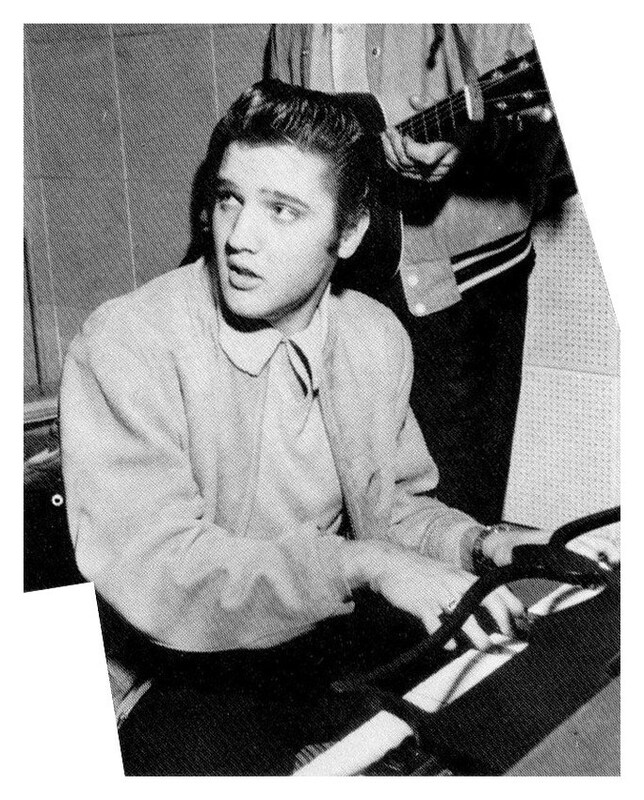 First up is the only solo photo of Elvis on this day that exists. When looking at this image, one wonders if photographer George Pierce has also taken solo shots of the other artists. 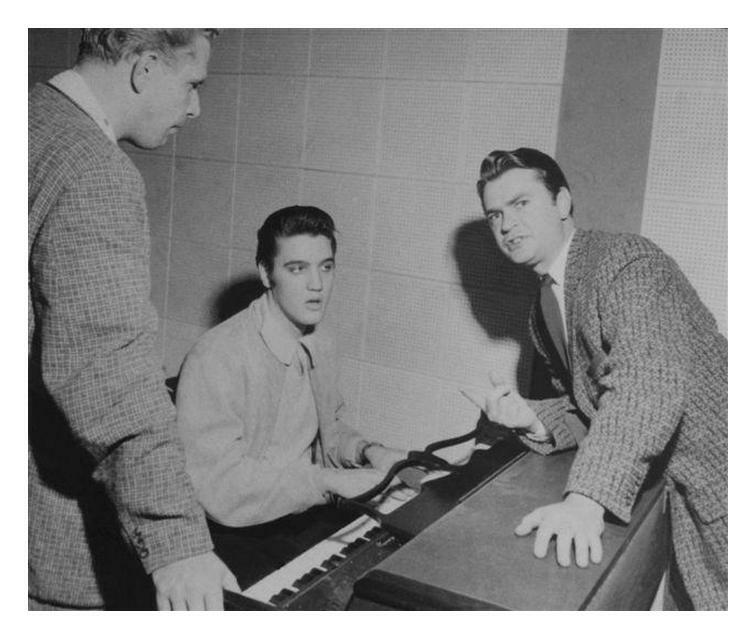 Even though Elvis was the main attraction, it would make sense that he also took portrait-shots of Carl, Jerry Lee and Johnny. 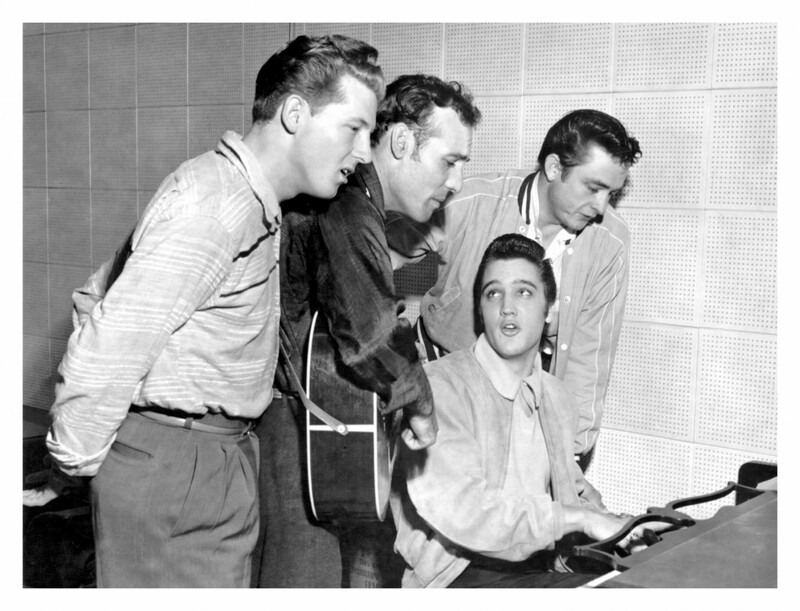 The most famous of all Million Dollar Quartet photos: The original Fab Four! Often mistaken as one and the same image with the photo above, here we have the four in a slightly different pose. 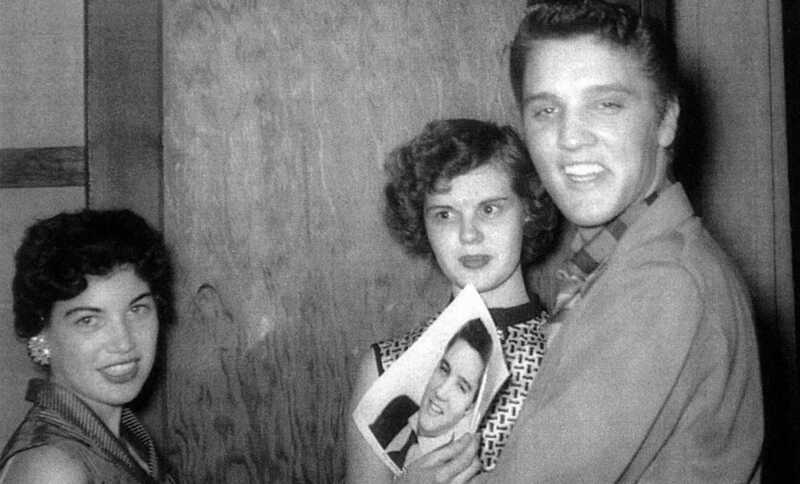 Elvis’ ladyfriend (Marilyn Evans) is now also in the frame. 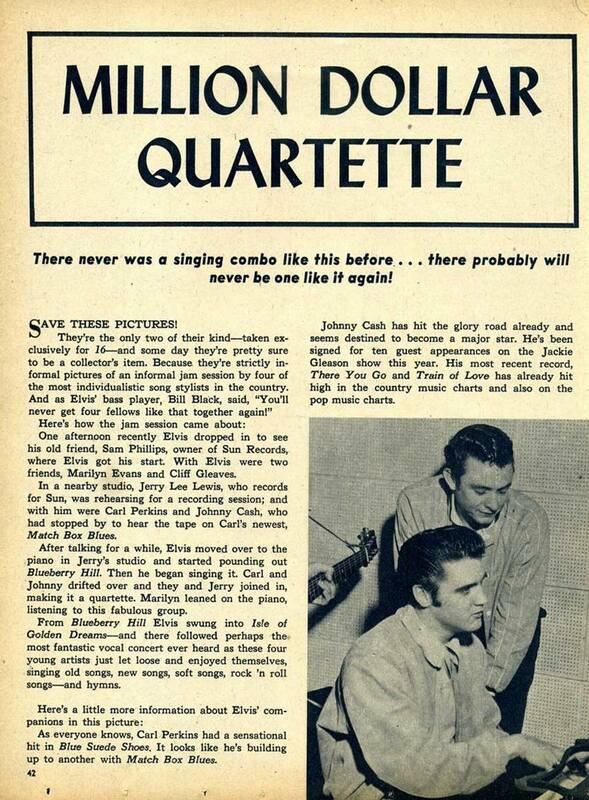 Please scroll down to the “Million Dollar Quartette” article, for a much less cropped version of this photo. 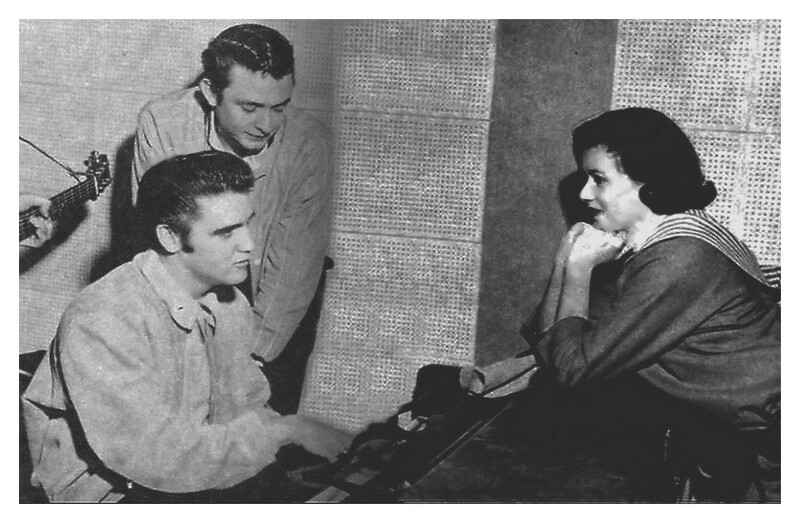 To the right we have an image of Elvis with Johnny Cash behind him and Carl Perkins to his right. Below we see a differently cropped (and much blurrier) version of the same photo, without Perkins, but including Marilyn Evans. The uncropped photo that includes both Perkins and Evans in the same frame has not yet surfaced. An interesting one. At first glance this photo appears to be heavily cropped, but the ‘damage’ could be much less than it seems to be when going by the dimensions of the photo (apart from the ‘whites’ of course). 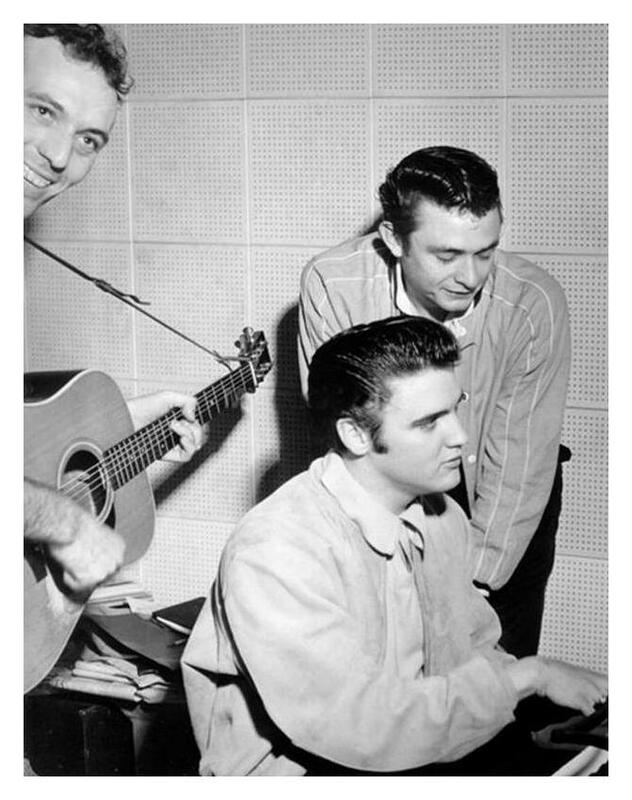 We can see that Johnny Cash is standing behind Elvis, and he is now playing (probably Carl Perkins’) guitar. 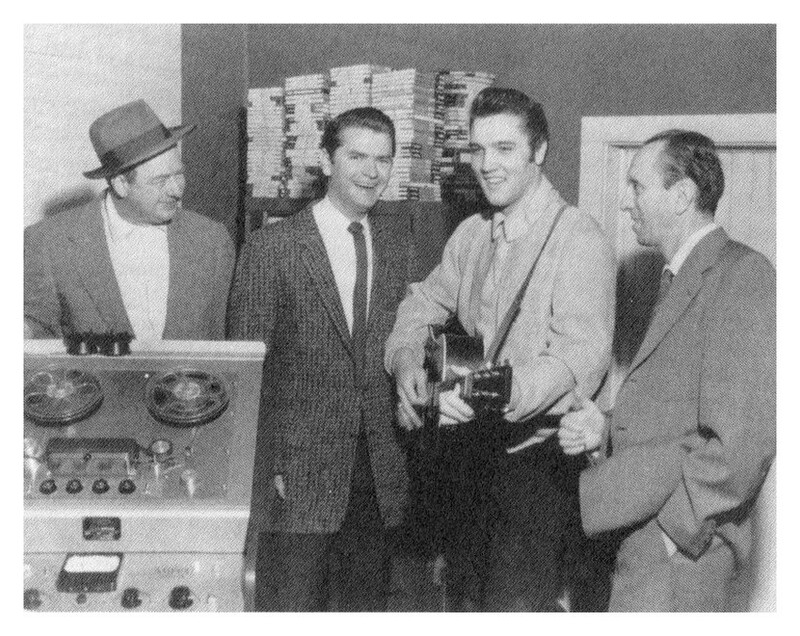 Here we have Elvis with Sam Phillips and Smokey Joe Baugh. 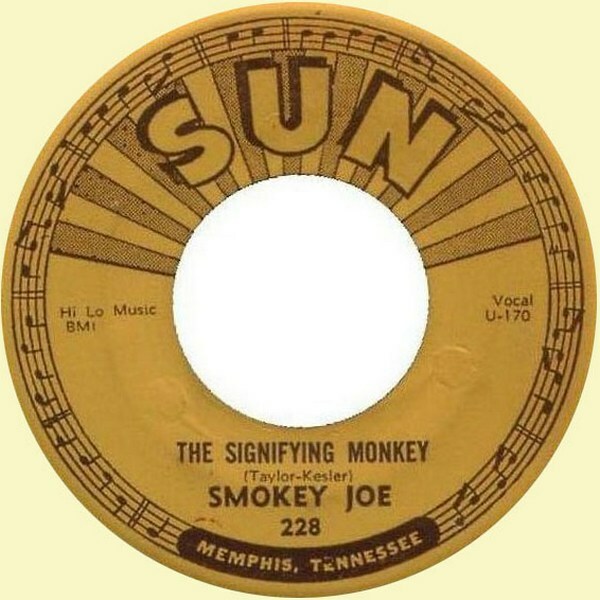 Smokey Joe had cut a couple of songs for Sun in 1955. 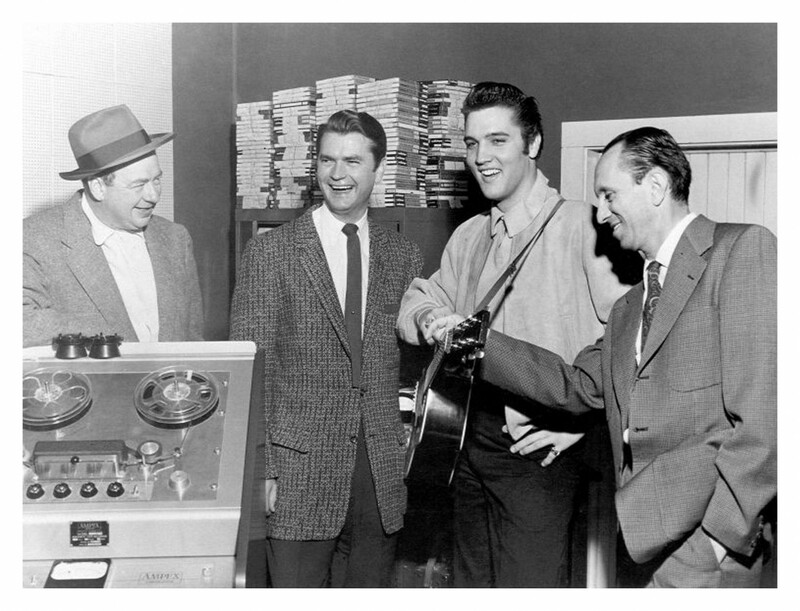 In this photo we can see Sam Phillips and Elvis with the man who gave the session it’s name: Memphis Press-Scimitar reporter Robert Johnson, standing to the left. And to the right we have Leo Soroca, a representative of United Press International. Soroca and Elvis seem to be shaken hands in the photo to the right, but a closer inspection learns us that Soroca is probably trying out some chords on Elvis’ guitar, much to the amusement of the bystanders. 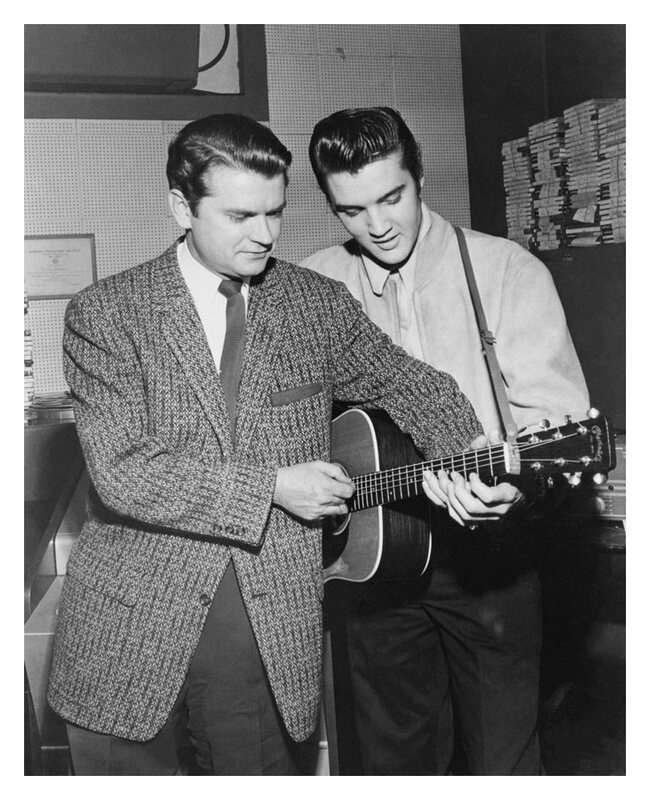 Sam Phillips and Elvis in the control room, with what looks a lot like the same guitar that Carl Perkins and Johnny Cash were holding in the previous photos. Sam and Elvis on the same spot as in the previous photo, but this time without the guitar. Strike the pose gentlemen! 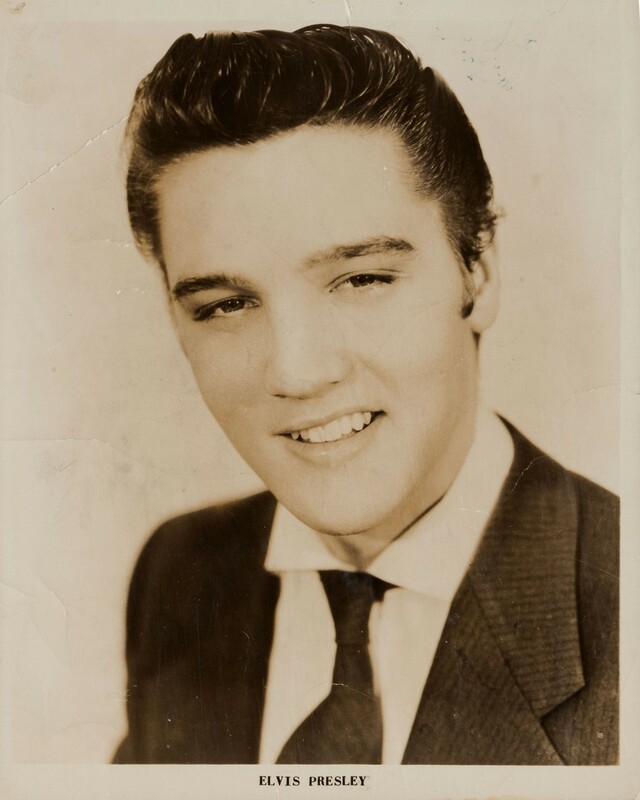 Elvis, at this point of his career, was riding high on the charts with his 2nd album currently in the number 1 spot and a seemingly unendless string of number 1 singles for RCA Victor. And while his first movie had broken all sorts of records for 20th Century Fox, the Elvis Presley Enterprises merchandise train broke even more records since the sale of Elvis socks, Elvis handkerchiefs, Elvis wallets, Elvis shoes, Elvis diaries, Elvis belts, Elvis mittens (Elvis mittens?? 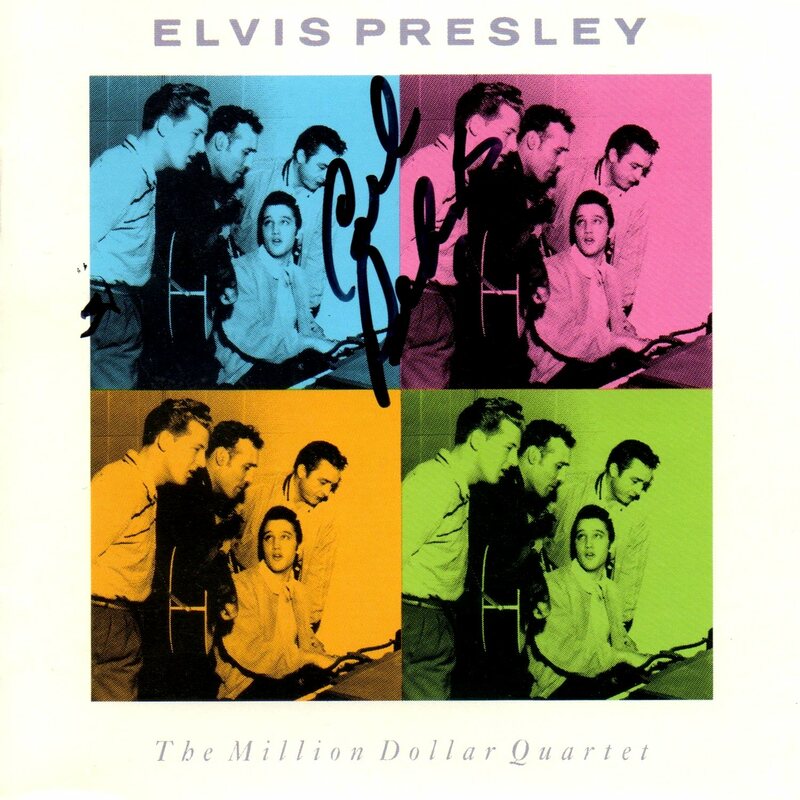 ), Elvis e-v-e-r-y-t-h-i-n-g, had gone completely through the roof. Here we have a very nice article from the May 1957 issue of ’16’. 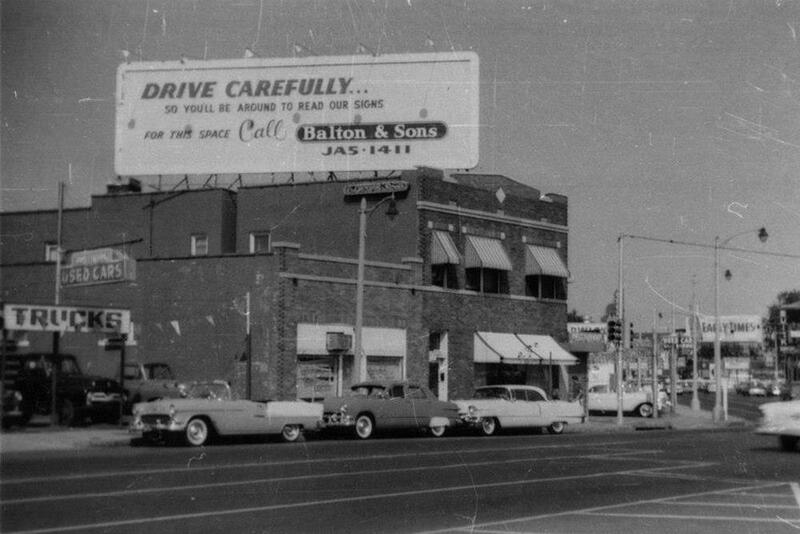 To the right we have an original publicity photo, from 1955. This wellknown image of Elvis (from December 27, 1954) pops up all the time in newspaper articles, advertisements and flyers in 1955. 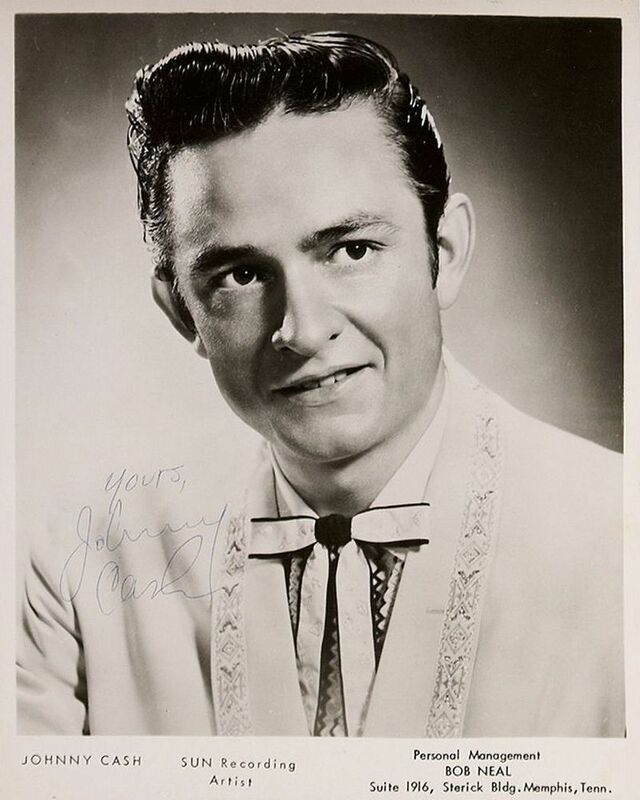 The 8″ x 10″ publicity photo was also widely at hand during live gigs that year, of which we can see an example below (from March 4, 1955, De Kalb, Texas). 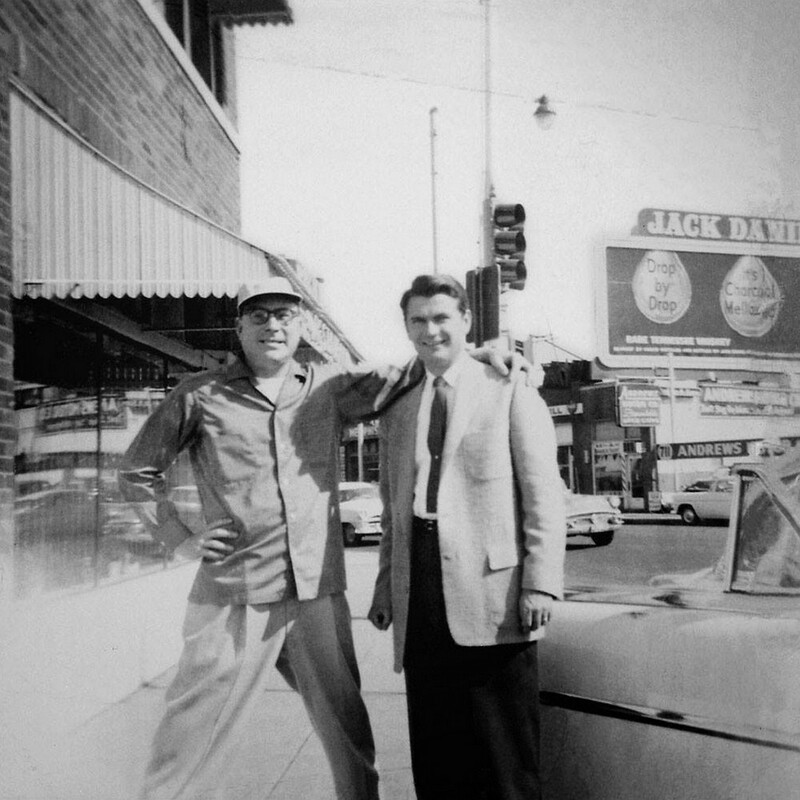 Below we see original Sun Records publicity photos of Johnny Cash and Carl Perkins. These kind of promo shots of Jerry Lee Lewis appear not to be existence. 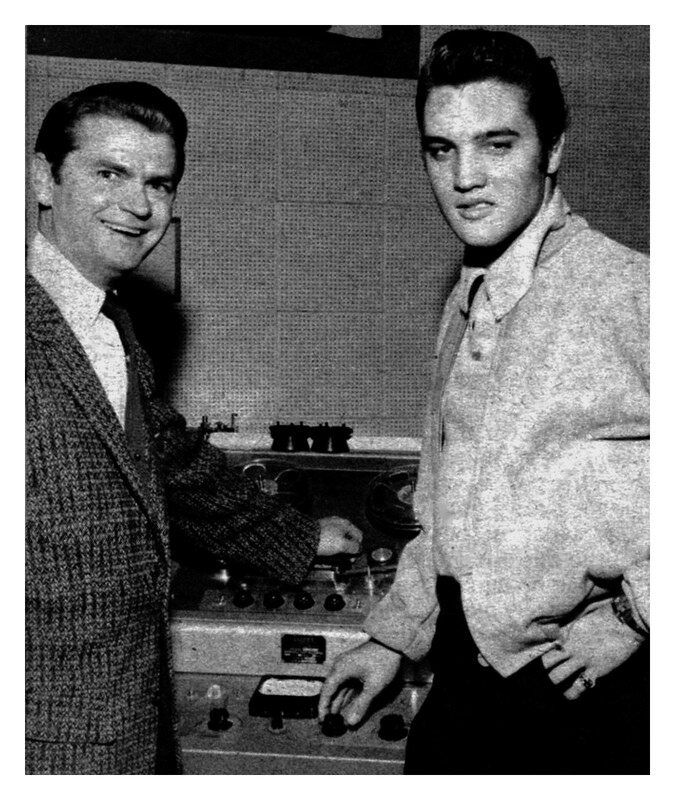 Notice that Bob Neal (Elvis’ second manager) gets a mention as Cash’ manager. 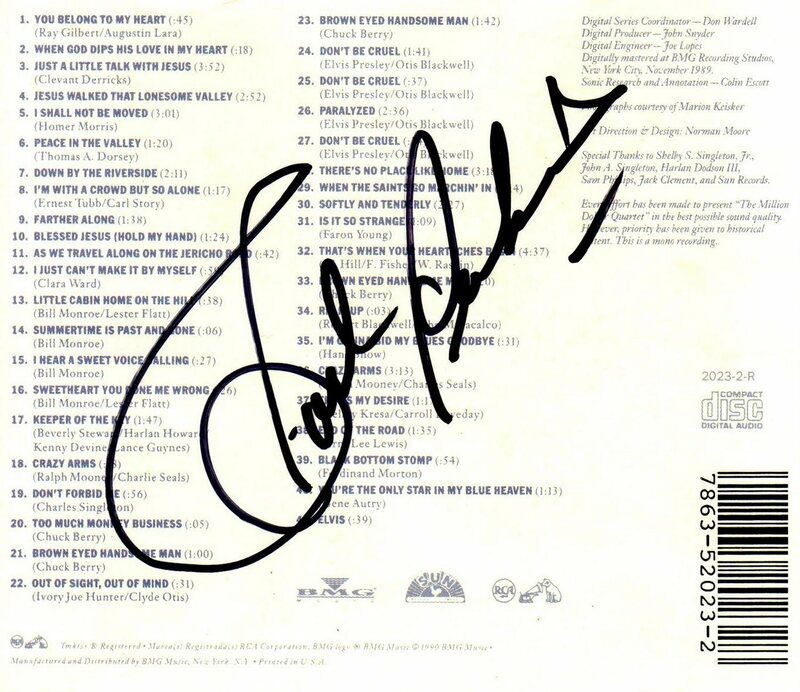 In 1994, I had the honor of meeting Carl Perkins after a concert. Carl hung around to meet the fans and sign autographs. I’m still amazed at how humble and down to earth this man was. After our talk, I asked him to sign the MDQ album. Carl had no idea that the session had been released officially by RCA, even though it had been on the market for 5 years. He joked that he could’ve made a million bucks on it if he had been clever enough to tape the session himself. He then went on to say “That session was so nice, I’m gonna sign it twice!”. 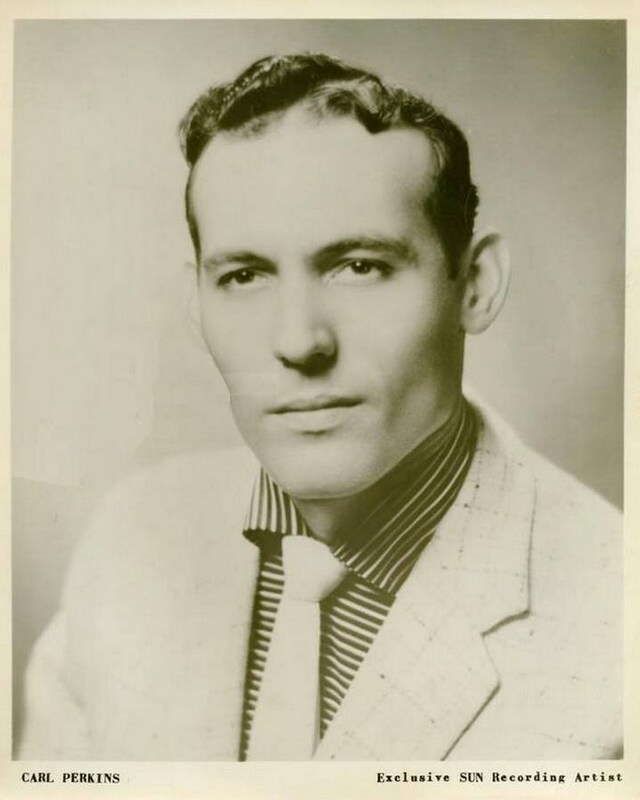 Carl Perkins was a real cool cat! * The 10 photographs at Sun were taken by GEORGE PIERCE. 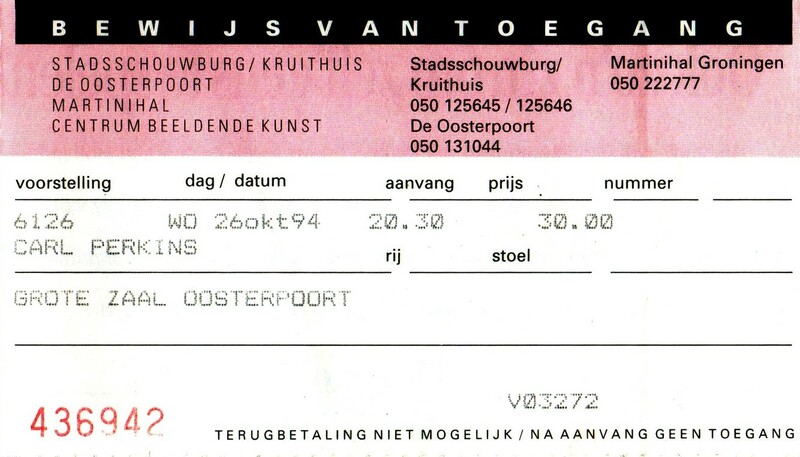 * Thanks to Ger Rijff for his help in compiling this article. * To Kari Paju (Finland) for the May ’57 article from ’16’. * To James V. Roy (USA) for the Memphis Press-Scimitar (December 5, 1956) scan. * And to Josep Rulló (Spain) for sharing a high-rez image of the first Fab Four. 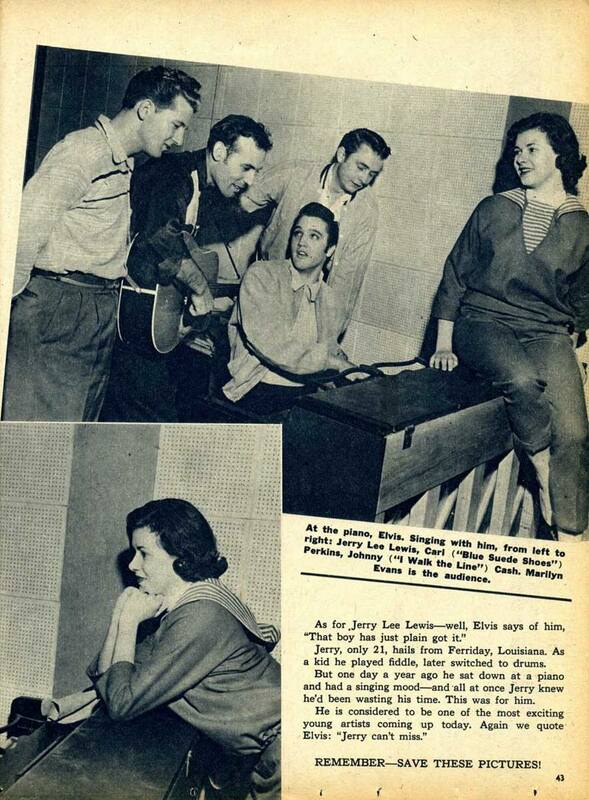 * The image from Texas (March 4, 1955) is scanned from the amazing A Boy From Tupelo. 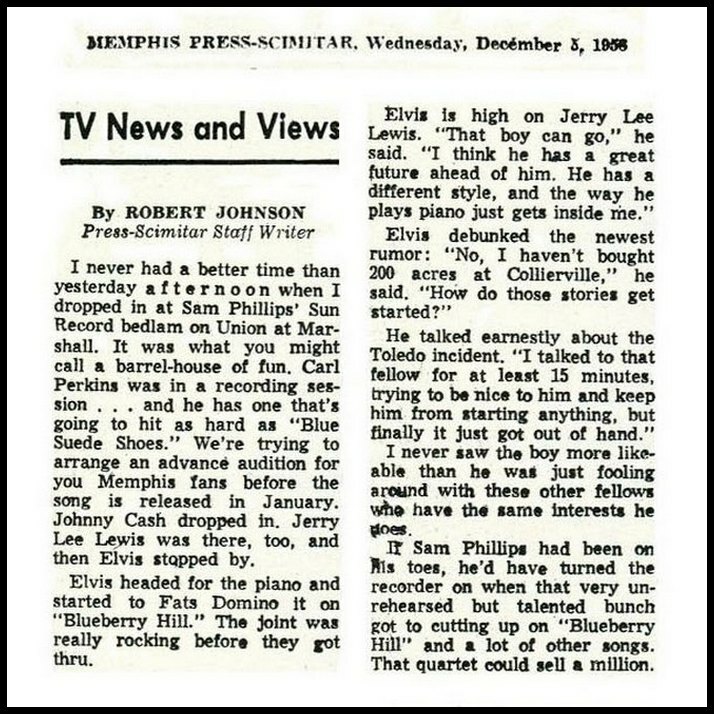 * The image of Sun Studio at the top of this article, courtesy of The Memphis Public Library And The Shelby County Archives, with thanks to Mike Freeman. Great other photos besides the often shown photos. Always interesting to read those old original articles. I enjoyed it very much. So cool to see the old photos. I have this cd and play it over and over for many years now. It is an iconic piece of history in music. Elvis was the leading man that day, already showing what future lay ahead of him. Alwys a pleasure to look at pics like this. Thanks !! Outstanding work, Bob! Thank you so much for putting this together. I love seeing dear Elvis so happy and hopeful. You made my day with this special article. Great article on the single most important session in history. Good to see that Mr. Ger Rijff conrtibuted as well. 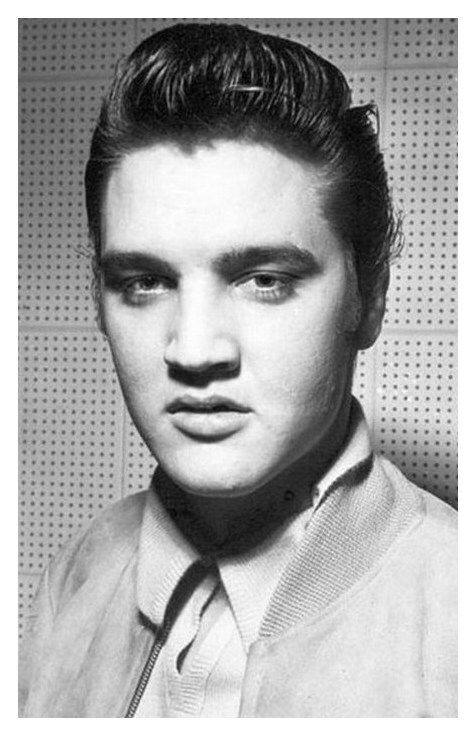 He is the man who made Elvis look cool again with his fantastic books and style. What a wonderful page. Are all the photos from this special day? George Pierce was my husband’s father. Mr. Pierce passed away in 1962. To our knowledge all of the photographs taken that night at the studio were maintained in files owned by the Memphis Press Scimitar ( now known as the Commercial Appeal, Memphis). I’d like to discuss your father-in-laws career sometime. I can be reached at 901-344-3221. I am the photo archivist at Graceland. Wonderful! Thank for that great work !!! Loved the photos. My wife and I saw the play Million Dollar Quartet at the Fireside in Fort Atkinson,Wi. Had no prior knowledge of this special day prior to seeing the play.Oh to be a fly on the wall and to have witnessed this! I’m jealous! Wish I could have. Our daughter took us to the same show a few days later. As children of the 1950’s, it was a chilling surprise and an incredible experience. The original recording published by RCA is such a precious archive showcasing the raw, natural talent of these young artists in what may well be the greatest jam session of all time. After being introduced to these legends, our daughter has become yet another big fan. The great ones are timeless! ALSO A PIANIST I LISTENED TO HIM DO HIS ROUTINE ‘TIL BREAK TIME AT WHICH I WENT & TALKED TO HIM FOR ALMOST THE ENTIRE BREAK. JUST LIKE TALKING TO YOUR FRIEND NEXT DOOR. THANKS FOR THE WONDERFUL SITE. ALSO TOURED SUN STUDIOS.